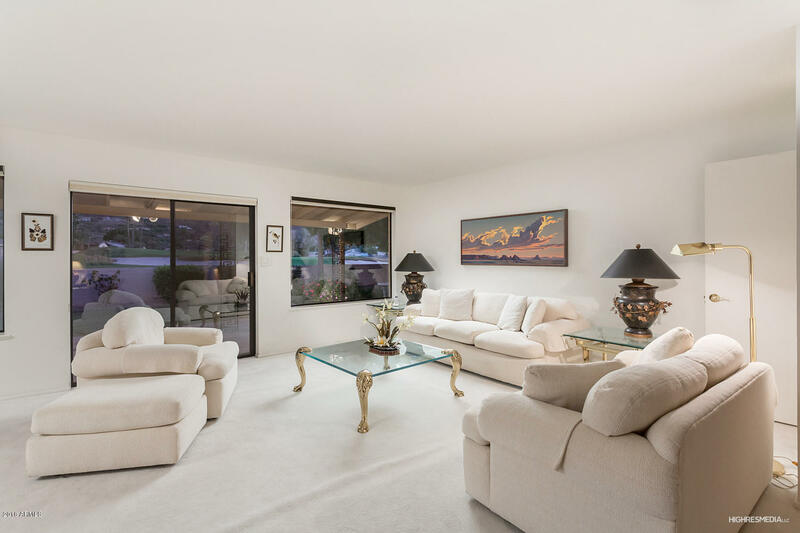 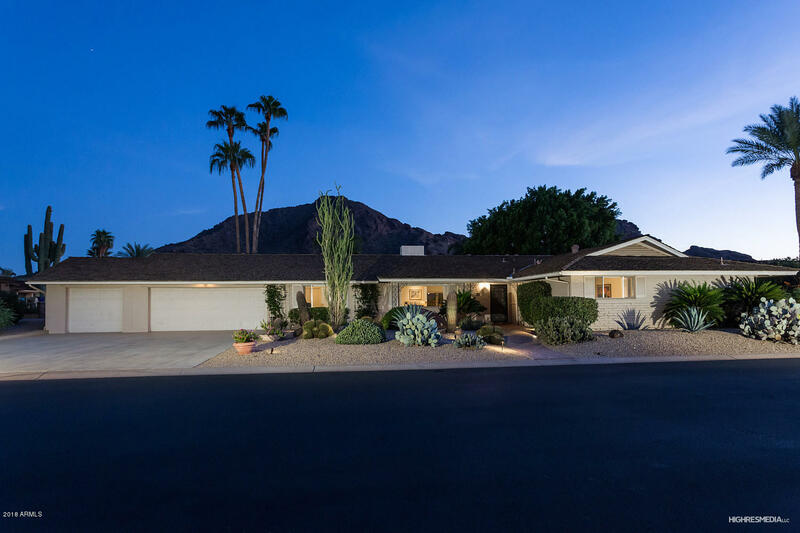 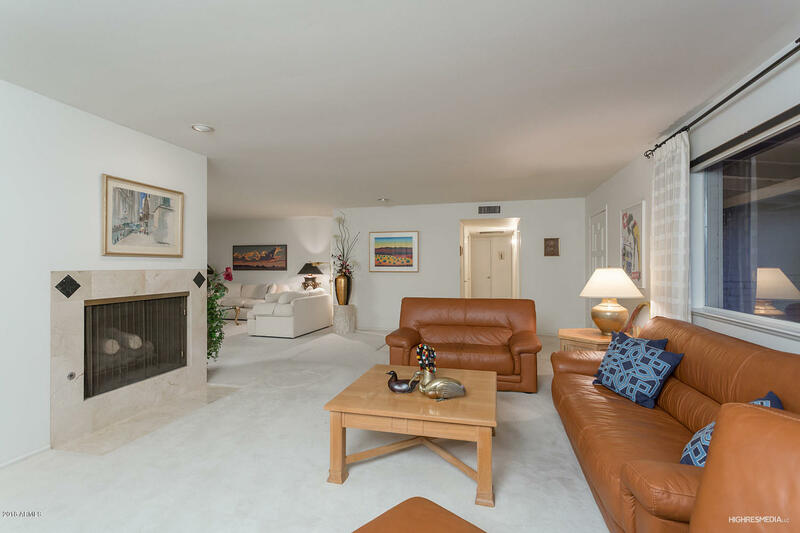 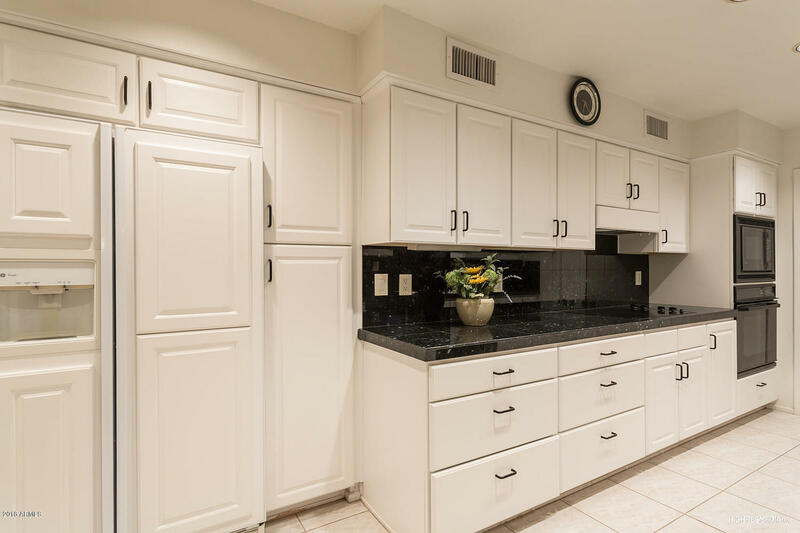 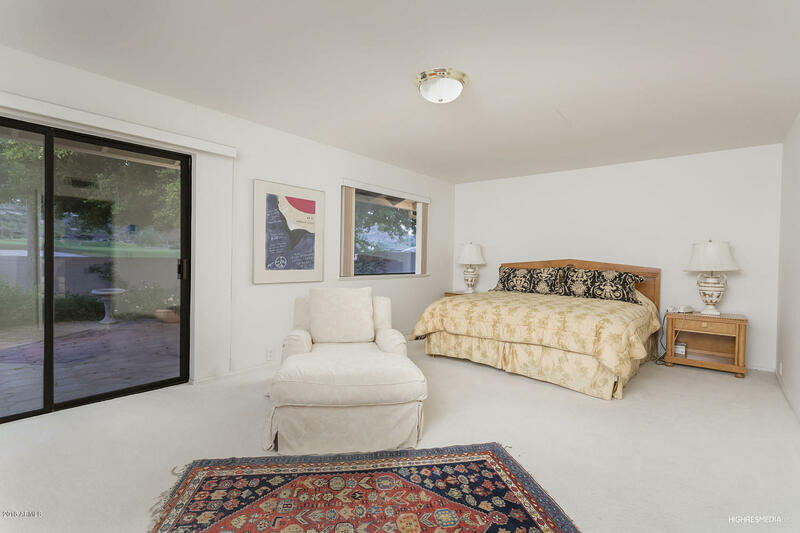 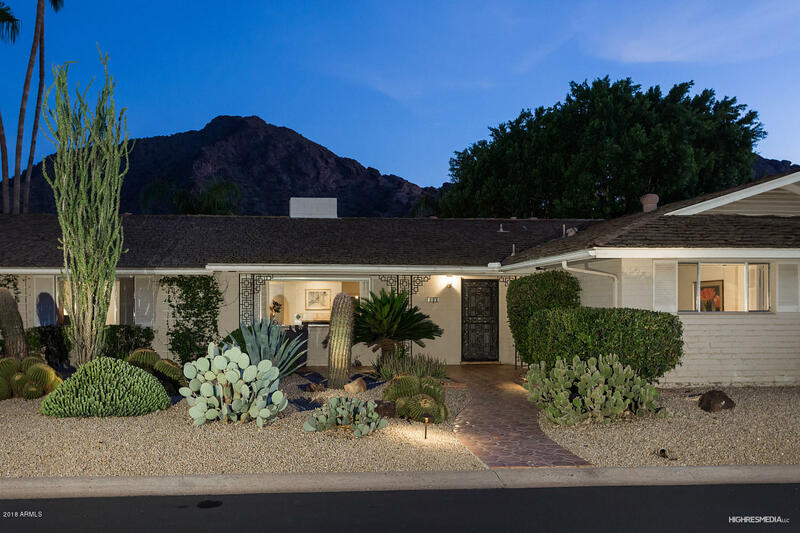 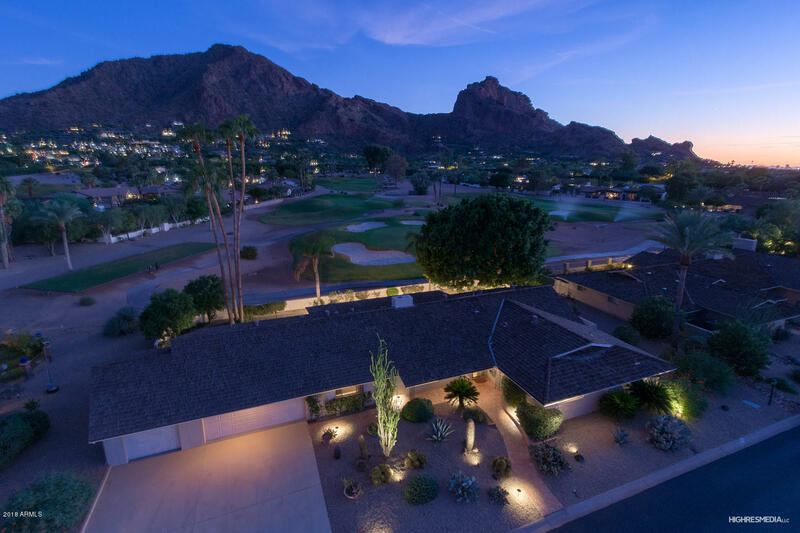 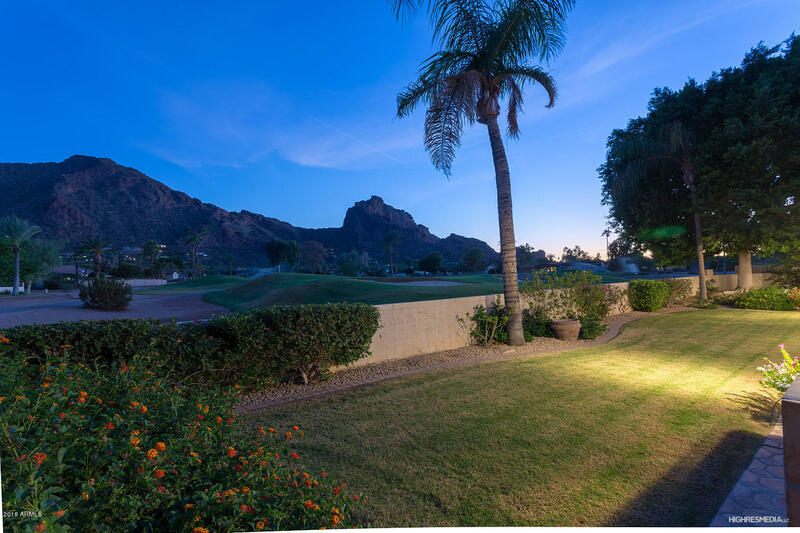 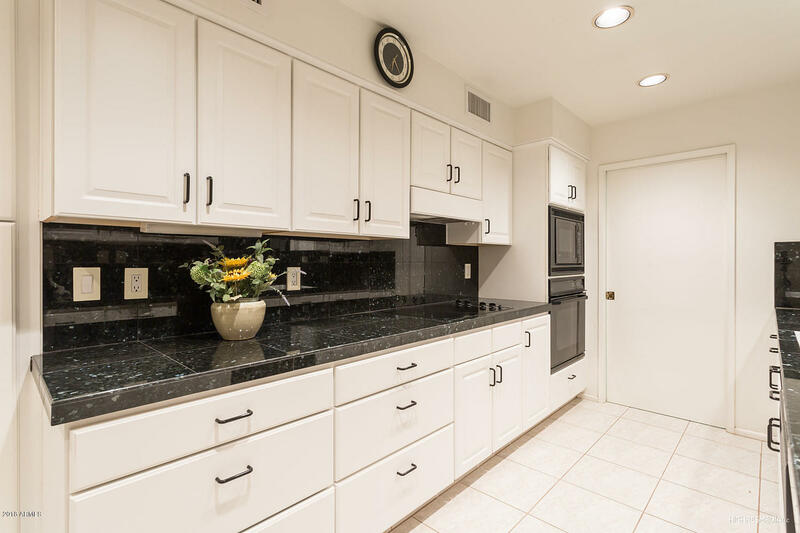 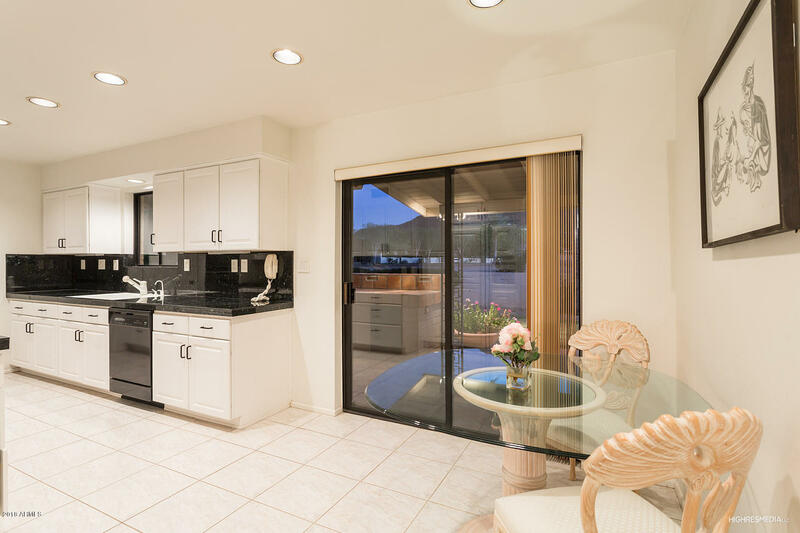 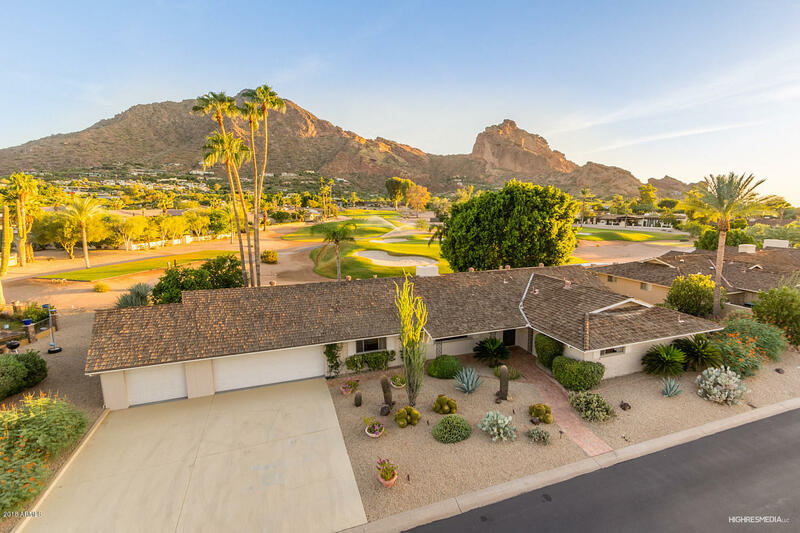 Fantastic opportunity to live with unobstructed postcard views of the Camelback Mountain. 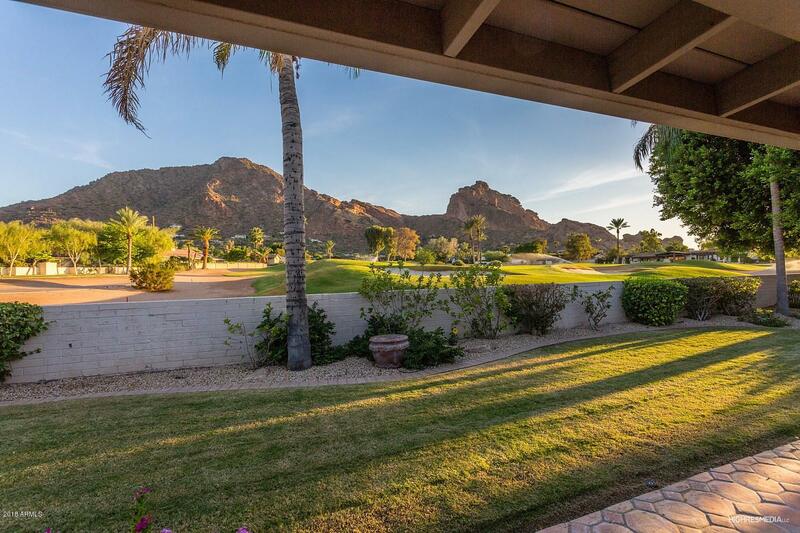 With scenic open space to the Mountain Shadows Golf Course, outdoor entertaining is a must. 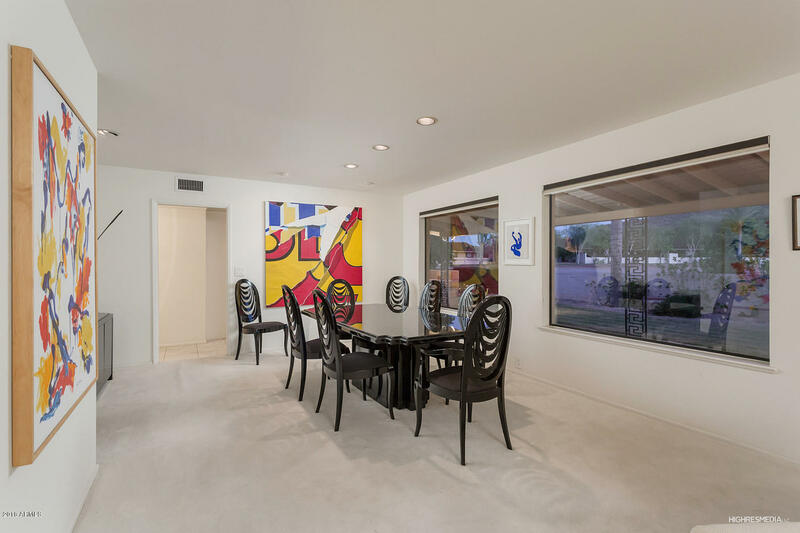 The casual floorplan flows easily with dining, family and living room incorporated equating the iconic 1960's version of the great room. 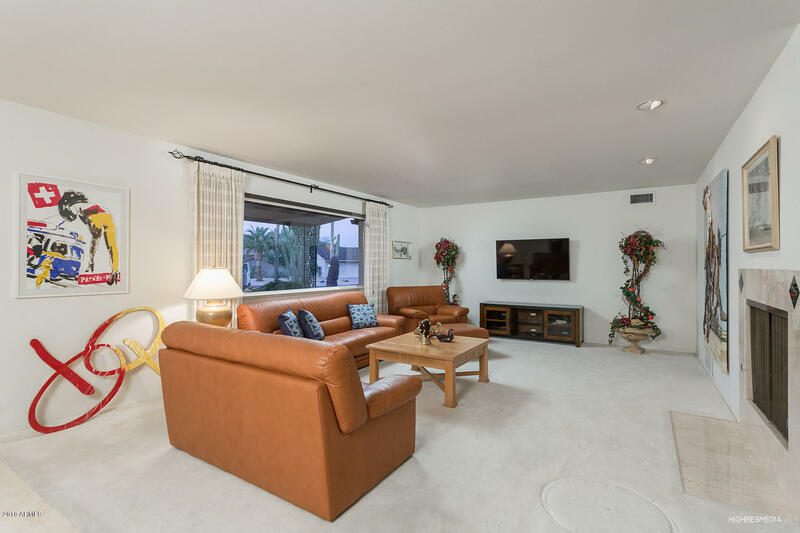 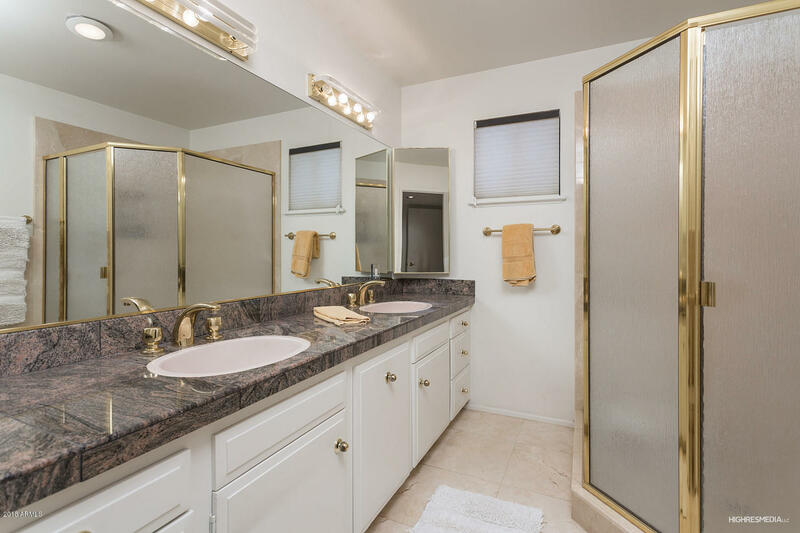 Three over sized bedrooms, 2.5 baths are on the west side of the great room and the fourth bedroom and third bath off of the kitchen offers an office set up or private guest quarters. 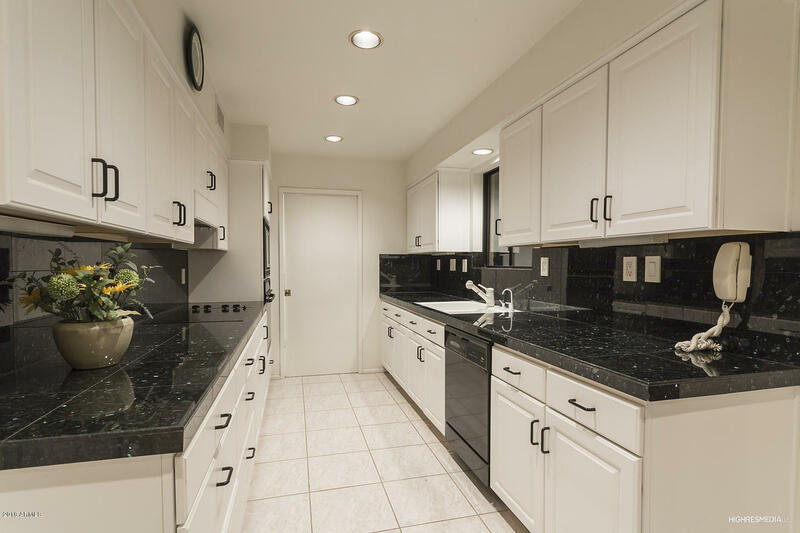 Maintenance of the home has been the focus.